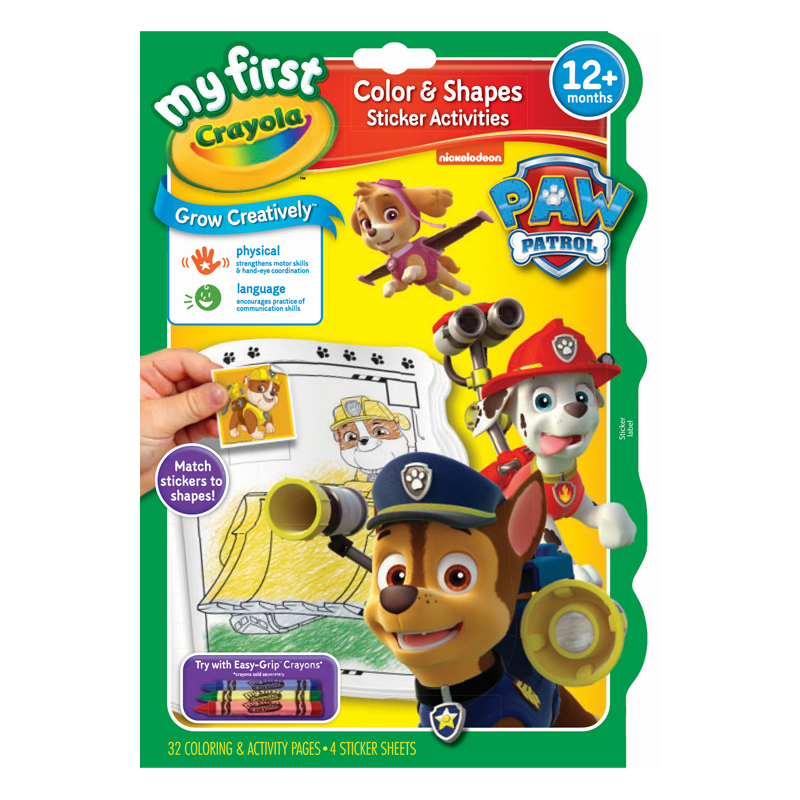 Develop your child’s color and shape recognition with their favourite PAW Patrol characters. By matching the included stickers to specially designed shapes in the activity book, your child’s confidence and independence will grow while learning shapes through colorful play! 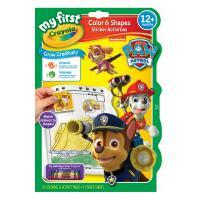 My First Crayola art supplies and creative activities are designed for little hands. They’re just the right tools for toddlers and pre-schoolers to express, create and connect with color. Includes 32 Coloring & Activity Pages and 4 Sticker Sheets.